for the description of many-particle systems in numerous disciplines of science. their applications in studies of strongly coupled plasmas. (i) The phase-field theory can be regarded as a multi-field generalization of the Cahn-Hilliard/Ginzburg-Landau type field theoretic models, in which the structural change during solidification is monitored by a structural order parameter, the phase field, whose time evolution is assumed to follow relaxation dynamics, and is coupled to the evolution of other conserved and/or non-conserved fields, such as temperature, concentration, or density. The phase-field model of polycrystalline freezing incorporates the phase-field, coupled to a concentration field, while differences in the crystallographic orientations are captured by an appropriate orientational field (scalar field in 2D and quaternion field in 3D). Langevin noise is added to the equations of motion to represent the thermal fluctuations. Accordingly, the model includes homogeneous and heterogeneous nucleation of growth centers [1, 2]. In addition to this, several mechanisms have been incorporated to form new grains at the perimeter of growing crystals, a process we term as “growth front nucleation” . The equations of motion (three stochastic partial differential equations in 2D, and six in 3D) are solved numerically in a massively parallel environment. The model requires a detailed information on the system incorporating the free energy of the phases as a function of composition and temperature, the magnitude and anisotropy of the solid-liquid interface free energy and of the grain boundary energy, and the mobilities for the phase-, orientation and concentration fields, which are related to the translational, rotational and inter-diffusion coefficients. Advantages, problems and possible solutions for quantitative simulations will also be outlined. Numerous examples will be presented to demonstrate that the phase-field model supplied with orientation field(s) can successfully describe the formation of complex polycrystalline structures, such as impinging symmetric dendrites, disordered (“dizzy”) dendrites emerging as a result of dendrite-particle interaction, fractallike morphologies, and a broad variety of spherulitic patterns. (ii) The phase-field crystal method is a recently developed atomistic approach that automatically includes competing crystal structures, defects, elasticity, and crystal anisotropies, and can be used to address the homogeneous and heterogeneous nucleation of competing crystalline phases, colloidal crystal aggregation, and solidification of alloys. After outlining the main features of the model, a few examples will be presented for its application such as amorphous precursor mediated crystal nucleation  and heterogeneous crystal nucleation . G.I. Tóth et al., Phys. Rev. Lett. 107, 175702 (2011). G.I. Tóth et al., Phys. Rev. Lett. 108, 025502 (2012). X-ray and neutron diffraction (XRD and ND) are powerful methods for investigating the microstructure of materials. The basic principles of the diffraction, the theory of size and strain broadening, the classical methods of the line profile analysis and the whole profile or pattern fitting methods: MWP and CMWP will be presented. The efficiency of these methods will be demonstrated by using real measurements. The latest 3D XRD method extended for line profile analysis will also be outlined. There has been an increasing demand for high performance engineering components driving to the search for new advanced materials. Recently, a series of investigations on the formation and fundamental properties of bulk amorphous alloys were carried out. Amorphous materials lack any long term periodicity leading to different features compared to their crystalline counterparts. These amorphous structures exhibit supreme mechanical properties (high values of tensile strength, hardness, wear and corrosion resistance, fracture toughness, stored elastic energy and viscous flowability), exceptional magnetic and chemical properties (good soft magnetism, high frequency permeability and magnetostriction and high hydrogen storage). In addition, the course will shed light on the microstructural characteristics and thermodynamics of this intensively investigated system. The talk aims to give an introduction to the properties of graphene, mainly from an experimental point of view. Building on our current knowledge and landmark papers in the field, I will review the charge transport, optical, mechanical, etc. properties of graphene and graphene nanostructures, such as nanoribbons. Emphasis will be put on current challenges and future avenues of research. Single-wall carbon nanotubes (SWCNTs) represent the one-dimensional form of carbon and their research remains a hot topic even after two decades since their original discovery. I shall give an introduction into the physics of SWCNTs including their discovery, geometry, electronic and vibrational structure. The SWCNT applications, synthesis methods, and modifications are also to be discussed. Finally, I will discuss the so-called Tomonaga-Luttinger liquid (TLL) behavior in SWCNTs from the point of view of the experiments. The TLL is an exotic correlated ground state of one-dimensional metals with a number of compelling properties. properties have to be optimized. conducting layers are essential in many audiovisual applications today. with free carriers, e.g. hole doping by treatment with strong acids. have to be balanced in one single film. diameter and chirality distribution from Raman spectra. tubes filled with various molecules as well. Z.C. Wu, Z.H. Chen, X. Du, J.M. Logan, J. Sippel, M. Nikolou, K.
The Zitterbewegung, which is a trembling motion of the center of the wave packet for relativistic free electron, was theoretically devised by Schrödinger in 1930. In 2005 Schliemann predicted that the Zitterbewegung is not only a relativistic effect, but can observable, in principal, for solid state physics, like graphene, semi conductors, 2D electron gases, spintronic systems. We apply the general theory of Zitterbewegung to study the time evolution of the wave packets. At the end of the lecture we derive a relation between Zitterbewegung amplitudes and the frequency dependent optical conductivity. Integrated circuits have undergone a tremendous miniaturization. At these extremely small sizes, already quantum mechanical effects must be taken into account, and the interference of electrons and interaction effects cause completely new effects, not seen in the macroworld. In this lecture first I will give an introduction to the characteristic length scales, and discuss how the electronic transport changes in the different regimes. After that I will describe conductance quantization in the framework of Landauer formalism. At the end I will address some interference effects typical in nanostructures. All these topics will be illustrated with experimental examples. In this lecture I will give an introduction to molecular electronics. First an introduction to the experimental methods used to create molecular junctions will be given. I will review some of the basic methods which can be used to characterize these contacts (conductance histograms, vibrational spectroscopy, conductance fluctuations). Finally I will show some measurements on molecules acting as Single Electron Transistors. T. Ihn.Semiconductor Nanostructures Quantum States and Electronic Transport. Oxford University Press (2010). J. C. Cuevas and E. Scheer. Molecular Electronics An introduction to Theory and Experiment. World Scientific (2010). Y. M. B. Yuli V. Nazarov. Quantum Transport Introduction to Nanoscience. Cambridge University Press (2009). Materials exhibiting a simultaneous ferroic order of different degrees of freedom are called multiferroics. Among them, the most studied ones have both electrically and magnetically ordered ground states, called magnetoelectric multiferroics. In these compounds strong coupling between electric and magnetic degrees of freedom allows the electric control of the magnetization and the magnetic control of the electric polarization. There is a broad range of applications for these materials including magnetic memories with low energy consumption. While the magnetic state can be used to store the information, in contrast to the conventional magnetic memories which can be written by applying a magnetic field, the information content of multiferroic memories also could be changed by external electric fields . This process can be realised without dissipative currents. 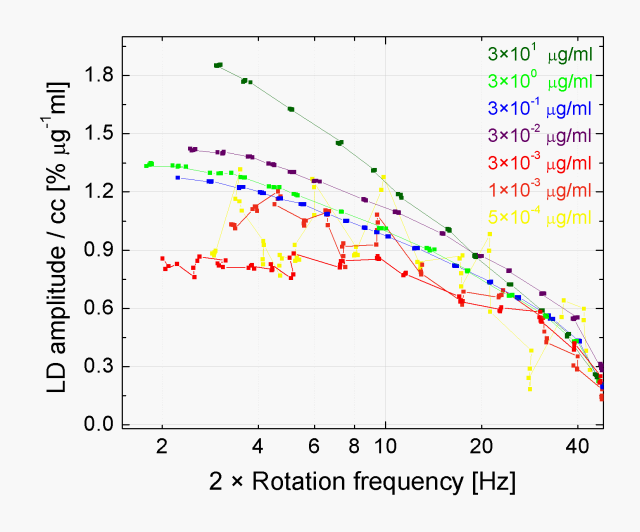 The coupling between the electric and magnetic degrees of freedom is also manifested in the low-energy excitations. The collective modes of spins (spin-waves or magnons) in conventional magnetic crystals can only be excited by the magnetic component of the electromagnetic radiation, while in multiferroics they can be coupled both to the electric and magnetic component of light and are called electromagnons . In materials simultaneously breaking time-reversal and spatial inversion symmetries the strength of absorption for two counter-propagating light beams can be different irrespective of the polarization state of light . This effect is termed as non-reciprocal directional dichroism and until recent experiments on multiferroics  it was generally found to be weak. Our experiments showed a directional dichroism close to 100 % in the electromagnon excitation spectrum of the multiferroic materials Ba2CoGe2O7 and Ca2CoSi2O7 . S. Bordacs et al., accepted to Nature Phys. of how some materials conduct electricity, while others are electrical insulators. In a crystalline solid, if there is an energy gap separating the highest energy occupied state from the lowest energy unoccupied state, the solid is a (band) insulator. For a semiconductor in a strong magnetic field (the so-called Quantum Hall setup), however, this simple band theory of conduction breaks down. Although there is an energy gap in the spectrum, the samples conduct electricity at their edges, via so-called edge states. The conductivity of these samples is quantized, to within one part in a billion: this phenomenal precision is a subtle hint that there is some topological reason for the conductance. an electron in a d-dimensional solid, instead of taking on any value in R^d, is confined to a d-dimensional torus. The texture of the electron states (spins and orbital pseudospins) on this torus can contain topological defects. Each topological defect in the torus describing the bulk gives rise to an edge state on the boundary of a sample. bands, and associated edge states have been dubbed “Topological insulators”. During the last decade, intense research has shown that these materials not only have a number of fascinating properties, but, when combined with superconductivity, can also be useful to encode quantum information in a way that is protected from environmental noise. The first successful experiments in spring 2012 have already come in, showing that the basic building blocks (Majorana fermions) can be produced in the lab. It might be that we are not very far away from constructing a complete “topological quantum computer”. Lajos Diósi: Quantum and Gravity Together: Cosmic, and Nano? According to standard views, these two dynamical concepts should interfere at very high energies and high mass densities occurring in relativistic cosmic phenomena only. Some, however, speculate that quantum and gravity meet in a new way already at nanoscales. These speculations emerged from the issue of wave function collapse in quantum mechanics, and has started to fuel a growing number of nano-experiments to test the quantum mechanical motion of objects which are far more massive than any objects tested ever before. The lecture gives an elementary account of the above topics. The nanobioengineering is a newly and fast developing research area. In the lecture first the definition of the Bioengineering will be given and the relation between bioengineering and other disciplines (physics, chemistry, informatics, biology, medical sciences etc.) will be treated. Then the special features of the nanobionegineering will be presented. In the second, part, based on our experimnetal investigations, examples of problems of nanoscale metal-ceramic bonding in dental materials will illustrated. cheap laser diode, a Hallbach array magnet, a Rochon prism and a balanced photodiode bridge – provides an unprecedented sensitivity in the detection of malaria pigment corresponding to the minimal concentration of 0.5 ng/ml in blood plasma. D.M. Newmann et al., Biophysical Journal 95, 994 (2008). A. Sienkiewicz et al., J. Am. Chem. Soc. 128, 4534 (2006).